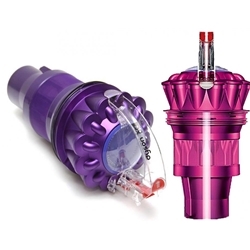 This cyclone will fit all DC41, DC65 and UP13 Model Dyson Vacuum Cleaners. This cyclone will fit all DC41, DC65 and UP13 Model Dyson Vacuum Cleaners. Colors for atheistic purposes only.